Carrying a child is one of the most beautiful things in the world. From the moment you find out you are expecting the memories of motherhood begin. You will always remember hearing your baby’s heart beat for the first time, seeing your baby flutter on the sonogram, feeling the first kick, their tiny hiccups, their little love nudges, and all while watching your beautiful baby bump grow. Pregnancy brings a lot of wonderful emotion for the journey you are about to embark on into motherhood, and for the new life you are about to bring into this world, but it is an experience we are blessed with for such a short time. It’s a brief moment in our lives that we should capture before it’s over and gone forever. Maternity pictures capture the natural and adoring pregnancy glow that you will be able to look back on and so fondly remember all those very firsts of motherhood. They are beautiful, soft, serene and timeless. 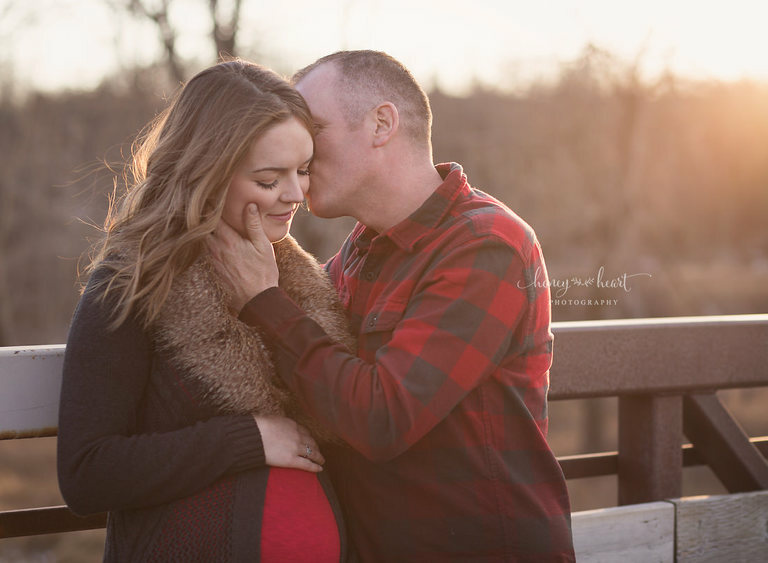 Maternity portrait sessions are best scheduled for any time between 30-35 weeks of pregnancy when your baby bump is shaping into that gorgeous roundness of pregnancy. Maternity sessions last approximately 1 hour allowing time for dress changes and short breaks, as needed and take place approximately 1-2 hours before sunset. I have lots of amazing, preferred locations with beautiful backdrops. I’m happy to offer a variety of sought after custom maternity gowns and outfits which you are welcome to wear for your session. You are encouraged to choose the maternity items that you feel the most beautiful in so you leave your session feeling relaxed, pampered and as beautiful as can be. 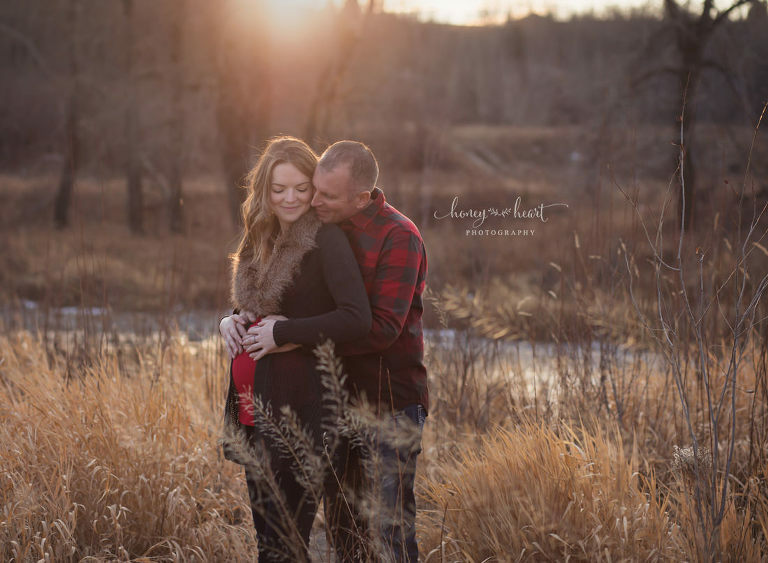 As your maternity photographer, your experience will begin with pre-session planning where you will be able to choose from a studio or outdoor maternity session at a scenic location around the Calgary area. Together, we will review all the feminine details and styling choices and I will share my tips with you for making dad and the baby’s siblings feel comfortable participating in the session. Then, after I receive your completed questionnaire, I will begin to work on planning and styling your maternity session with my carefully curated maternity and mama wardrobe so that I can help bring your vision of maternity pictures to life. While you relax and enjoy your last weeks of pregnancy before baby comes, I will get to work and hand-edit your images to create soft and natural maternity portraits that you will cherish of your baby bump for years to come. One of my favourite parts of the process takes place approximately two weeks after the completion of your session – your Maternity Gallery Reveal. A link to your private gallery will be delivered to you, where you will be able to view all your hand selected and professionally retouched images, select your favourite maternity portraits to remember your pregnancy by and place your order. Then we begin planning your newborn session while we wait for your baby to be born! 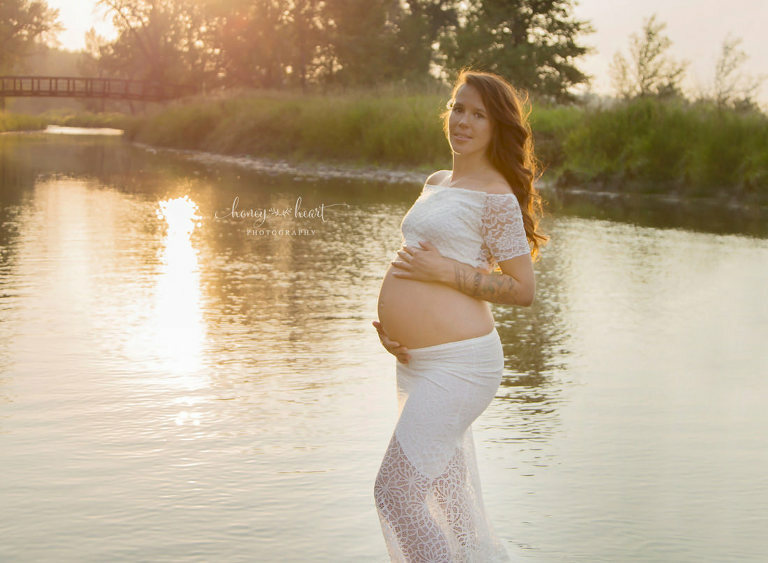 Ashley is a Calgary Maternity & Newborn Photographer. 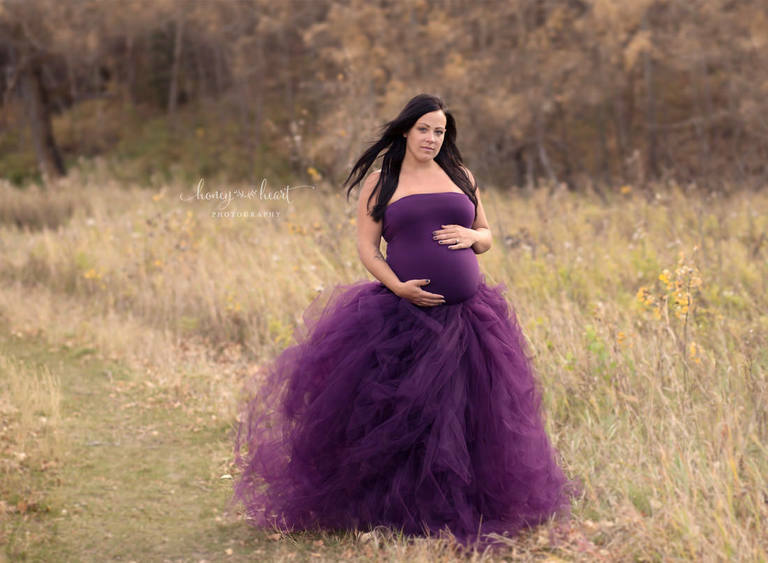 She provides maternity photography sessions outdoors on-location within the Calgary area, as well as out of her home studio.